So, I have to brag on Justin for a moment because he was one of the very best baseball players I've ever seen. And he has been waiting for this day for approximately four-and-a-half years. And now it is here! 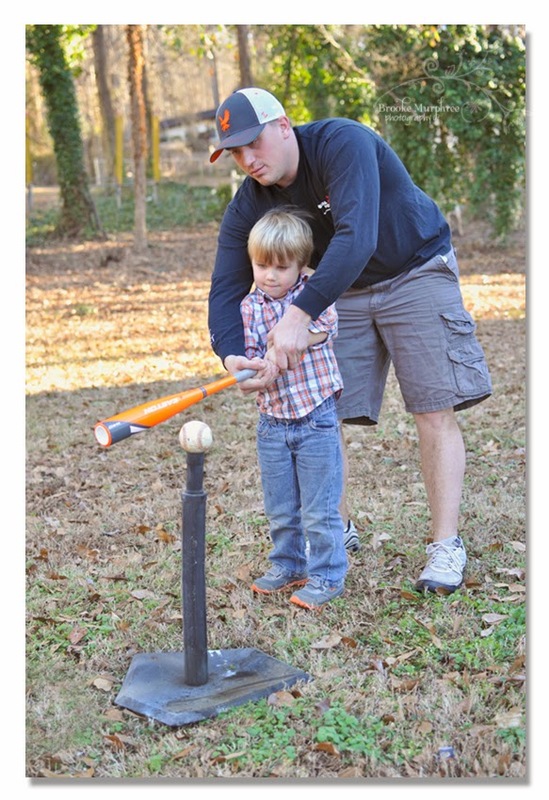 Tee Ball registration is this week, so this past weekend we broke out Perry's new bat and set up the tee for a little batting practice. And lemme just be completely honest for .2 seconds. Perry totally takes after his Daddy. 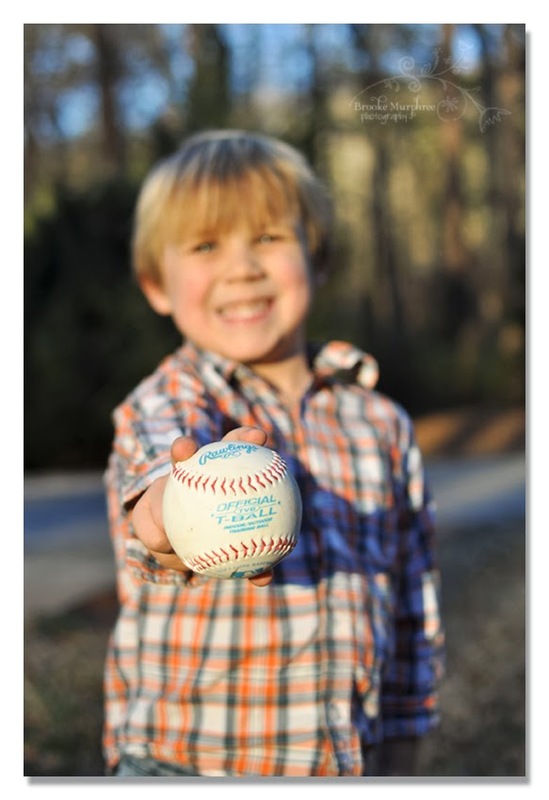 If you are playing tee ball this year, you want this little buddy on your team. I'm just sayin'. I bet I burnt off a good 700 calories chasing balls down the street! 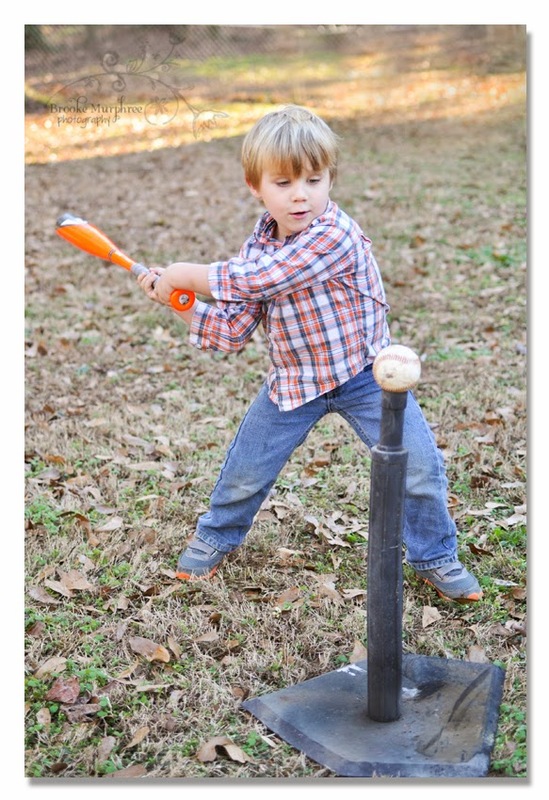 And dude can throw as good as he bats. Better than me. I wish I was joking. Is this a good time to mention I broke my ankle tripping over a volley ball? Yep. Kid gets his skills from his Daddy-O! 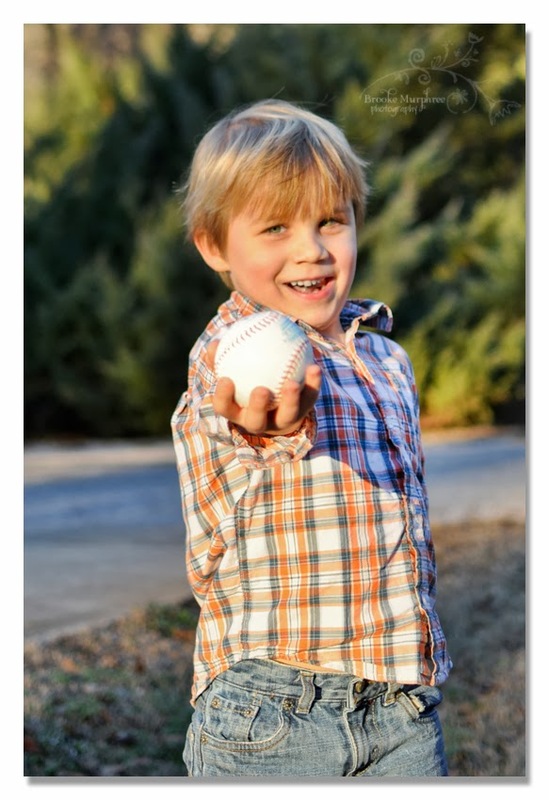 We can't wait to watch you knock it out of the park little monkey! !